Once you register with topcashback, you can browse through a category of your choice to see the offers published from different online ecommerce web sites. Click on the desired offer that will take you to the retailer's web site. Go ahead and make the purchase. The retailer will provide a commission to topcashback on the purchase made by you which topcashback in turn will share with you by refunding a percentage of it in your topcashback account. You can get the cash deposited back into your account !! 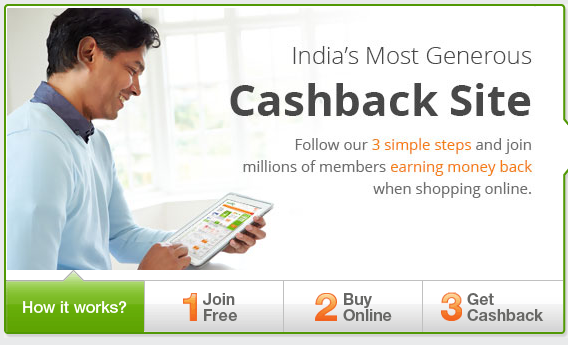 With growing ecommerce market, the affiliate sites like topcashback are a boon to Indian consumer for saving more money.